The following links are provided for the information of our Melbourne event management course participants, as well as event managers/coordinators in general. The Melbourne Event Planning Guide released by the City Of Melbourne is a comprehensive, user-friendly guide that has been created to assist event organisers with preparing their event plan so they are aware of what is required when applying for an event permit. ​It includes a step-by-step guide to planning your event in Melbourne, information on holding events in Melbourne’s parks, gardens, roads and laneways, as well as a range of useful templates. Wodonga Council can help you ensure that your event runs smoothly and is successful. This document can be used to streamline your approach to planning by outlining the responsibilities of Wodonga Council and external bodies, as well as identifying appropriate resources to assist you with your event. It can be used as a guide when hosting any event within the city, providing handy tips and advice along the way. The Code of Practice for running safer music festivals and events aims to assist organisers of music festivals and events plan, run and manage events safely, and meet legal requirements, government standards and safety obligations.The Code is applicable to small and large events and sets a standard of practice for all individuals and organisations that run or participate in music festivals and events in Victoria. The Code includesboth indoor and outdoor events. This checklist provides a starting point for event managers to use in the development of their own specific risk management checklists. While this checklist deals with the specific risks associated with environment, conservation and heritage operations, there are other risks involved in running a community event – financial risks, IT risks, HR risks – these need to be taken into account as well. This online resource covers specific occupational health and safety requirements that should be considered for inclusion in event management planning in the context of Melbourne University. Such considerations would be indicative of events conducted in similar settings. 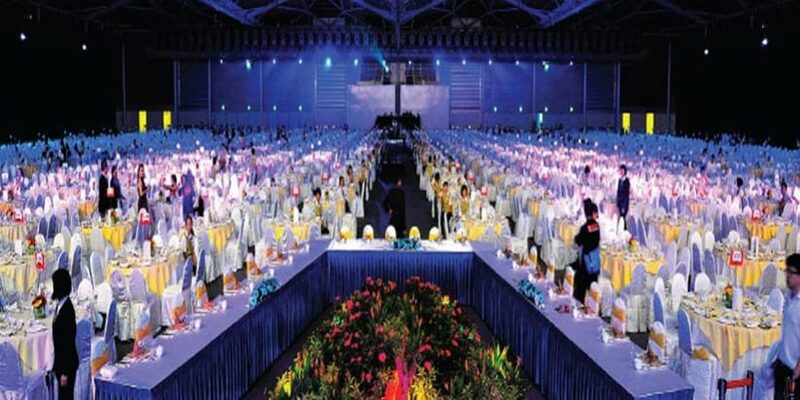 This manual provides a comprehensive example of the types of information/instructions provided in documents of this nature..
Our four-day Melbourne Executive Certificate in Event Management Course (Business and Public Events) is based on an extensive survey of event industry professionals. The program is specifically designed to both enhance the skill and knowledge base of those already employed to plan and deliver events and to serve as a sound platform for those people seeking to launch careers in the exciting and varied field of event management. Event Training Australia (ETA) has its origins in the recently closed Australian Event Award winning Australian Centre for Event Management (ACEM), University of Technology, Sydney. ETA was established to continue, and build upon, ACEM’s event training and education legacy. As such, ETA draws on over 20 years of experience in the development of innovative practice-based education and training programs in the event management field. These programs span one-day workshops to Masters level university courses. ETA’s understanding of ‘best practice’ event management is further reflected in its founder’s (Dr Rob Harris) co-authoring of the widely used texts and handbooks – Festival and Special Event Management, Event Management and the Regional Event Management Handbook. DISCLAIMER : The resources on this page has been provided for general information purposes only. Event Training Australia (ETA) is not responsible for their content or the guidance they provide. Should a link not function, please advise us (admin@eventtrainingaustralia.com.au) so that we may take appropriate action.